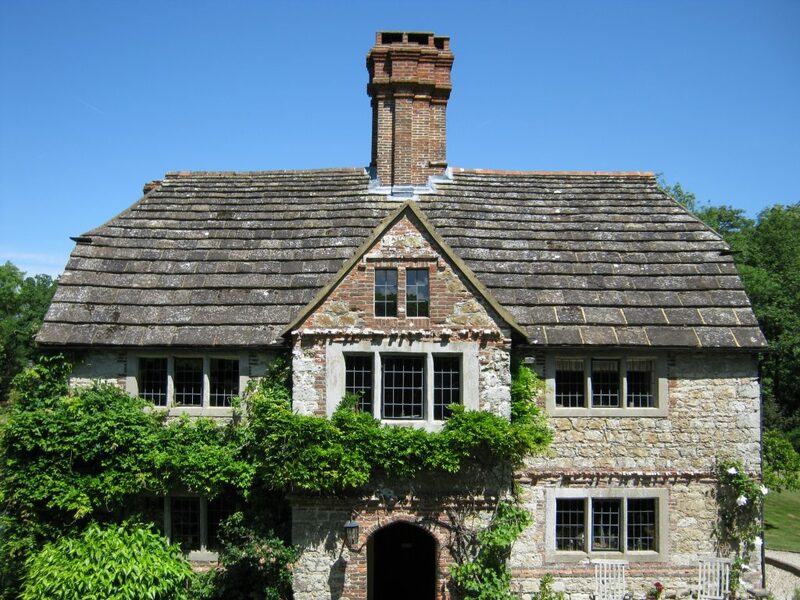 West Wantley in Sussex is a beautiful historic house with many retained architectural features, but most notably it was linked to the family of poet Percy Bysshe Shelley, and later in the 19th century it was also visited by Clementine Hozier, the future wife of Prime Minister, Winston Churchill. This extraordinary Grade II* listed house in Sussex is believed to include features dating back to the 14th century, but much of the house was extended and rebuilt in 1656 for Richard Haines. 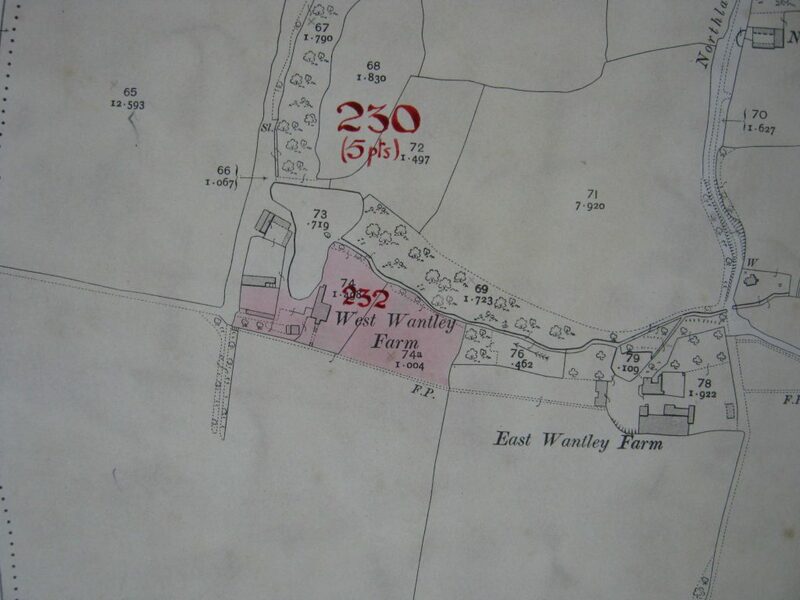 The earliest reference to the land and estate of West Wantley has been traced back to the year 1199 when the land was sold by Philip de Wantele for 100 shillings. 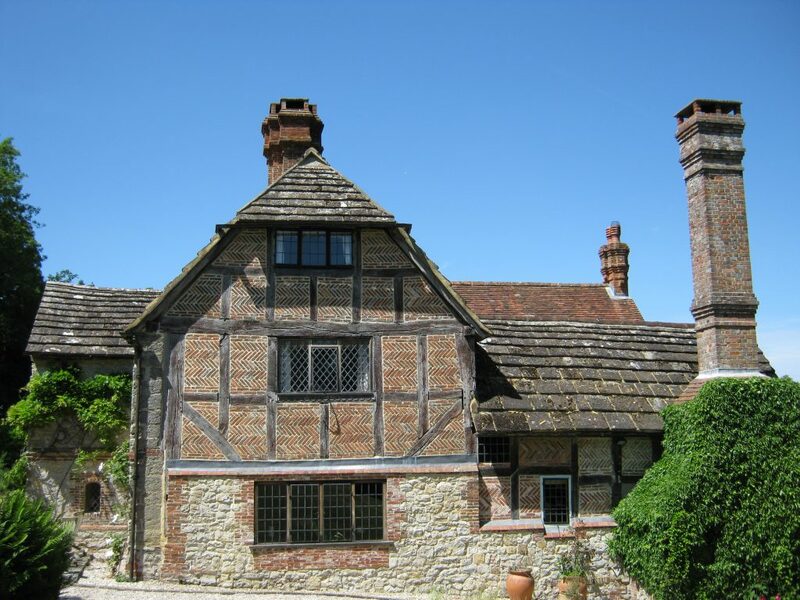 The precise date of construction is uncertain, but is believed the earliest portion of the house dates back to the 14th century, and records reveal a ‘house and yardland’ were transferred from Philip of Wantley to John of Wantely in 1327. By 1560 when Queen Elizabeth I was on the throne, West Wantley was recorded as Crown land and was granted to a Robert Mitchell, but by 1633 West Wantley had been purchased by George Abbot, Archbishop of Canterbury. However, Abbot died later that year and the property passed to his nephew, Richard Abbot. In 1641, Richard Abbot sold West Wantley to Gregory Haines. When Gregory Haines died in 1645 an inventory of the house was compiled, which provides a fantastic insight into life at West Wantley at this time. This included his ‘feether beeds’ (feather beds) and ‘brase pootes’ (brass pots). When Gregory’s son, Richard, came of age in 1654 he inherited the house, but set about extending and largely rebuilding the house. 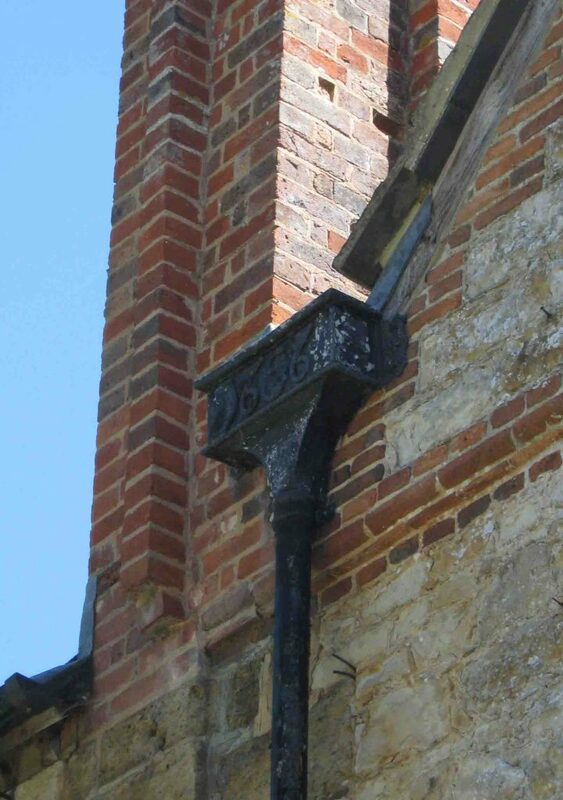 A date plaque above the entrance porch shows the date 1656, along with the initials ‘R H M’ for Richard and Mary Haines, and as can be seen to the left, the date features elsewhere, including this drain head. Richard Haines is remembered as a philanthropist, social reformer, and writer. He published several books including ‘The Prevention of Povery’ in 1674. He was also a noted inventor and he submitted a number of patents, including a spinning engine in 1678. Richard and Mary Haines continued to live in their large new home until 1684 when they both passed away. The house passed to their son, Gregory, but in 1691 Gregory Haines sold West Wantley to Edward Shelley. By 1748 West Wantley had passed to Timothy Shelley, but by this time the house was occupied by yeoman farmers from the Harraden family. This situation continued throughout the 18th century and by 1795 it was owned by Sir Bysshe Shelley, 1st Baronet of Castle Goring, grandfather of celebrated romantic poet, Percy Bysshe Shelley. In 1815 the ownership of the house and land passed to Sir Timothy Shelley, 2nd Baronet, father of the poet Shelley. At this time, his son was 25 years old and was already a renowned writer and poet. He had also been sent down from Oxford, fallen out with his father, eloped to Scotland with Harriet Westbroook, and then in 1814, run off to Switzerland with Mary Wollstonecraft. 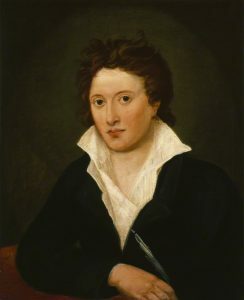 Due to the falling out with his father, Shelley had no direct connection with West Wantley, and sadly within a few years the beloved poet died in a boating accident in 1822, shortly before his 30th birthday. When Sir Timothy Shelley died in 1844, the baronetcy and estate passed to the eldest son of Percy Bysshe Shelley and Mary Wollstonecraft, Percy Florence Shelley. Throughout this period, the house continued as the home of various tenant farmers and by the time it was in the hands of Percy Shelley, it was occupied by the Skinner family. Throughout the 19th century, the house, now known as West Wantley Farm, was occupied by the Skinner family, but by the 1890s it had become the home of Cecil and Mary Paget. It was at this time that Mary Paget invited the young Clementine Hozier to stay. Clementine was the daughter of Sir Henry and Lady Henrietta Hozier and it is understood she visited the Paget family at West Wantley several times when she was a child. The young visitor grew up to become Clementine Churchill, the wife of Winston Churchill. 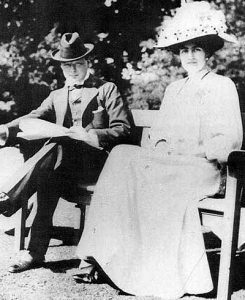 The couple married in 1908 and had a long and happy marriage lasting 57 years until the death of Churchill in 1965. West Wantley was placed on the market in 1921 when it was described as ‘an extremely interesting ancient farmhouse chiefly contructed of stone…very pleasantly situate in rural surroundings’. Today, the house not only has associations with a world renowned poet and the wife of one of the countries greatest Prime Ministers, but tucked away in the Sussex countryside, it retains many historic architectural features including an inglenook fireplace (including the cupboard for salt and a recess for curing bacon large enough for a person to lie in), as well as oak front door, exposed oak beams, and casement windows. 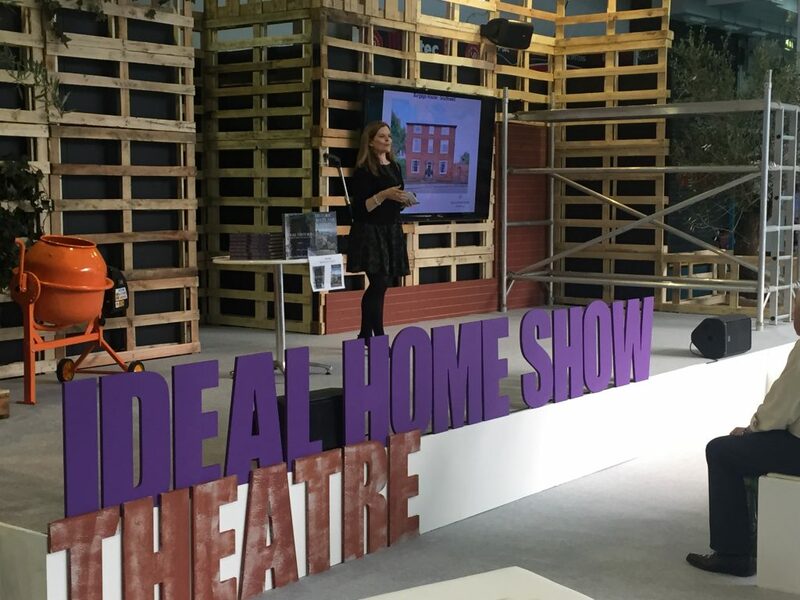 The history of Hotham Hall in Putney is one of my favourites as it strongly illustrates that no matter what a house looks like – or even how old it is – you can uncover a fascinating history! 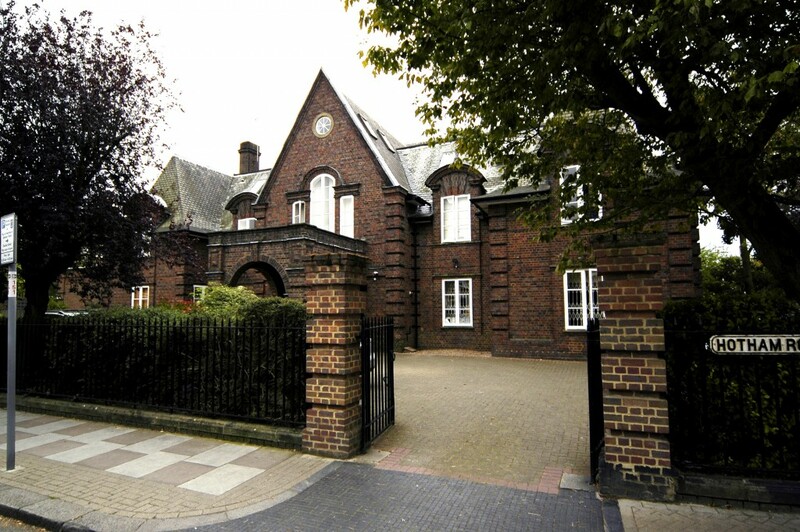 This former community hall in the quiet streets of Putney is linked with a number of famous names, including Winston Churchill and The Rolling Stones! I first researched the history of Hotham Hall while working with Chestertons in 2007. Snippets of the history were known, but I was so excited to discover a long list of famous names associated with this former community hall in the streets of Putney. Hotham Hall was first built as St Mary’s Hall shortly before the outbreak of the First World War, in 1913. 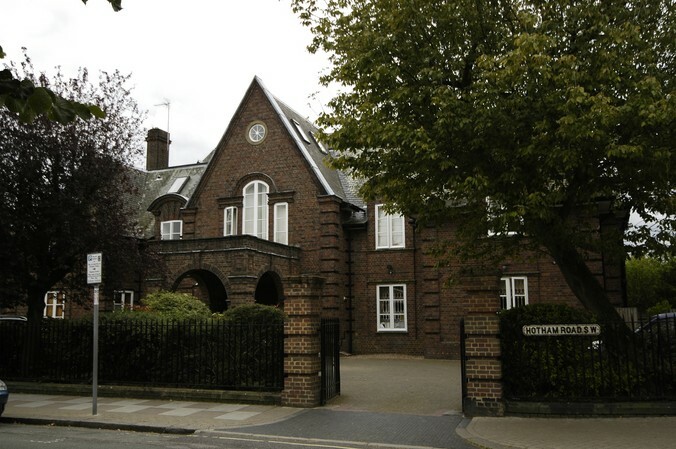 The freehold of the land was donated to St John’s Church by two sisters, Blanche and Elma Grace Miles, in 1911, specifically for the building of a public hall for the growing Putney community. The hall was designed by Douglas Wells and constructed by builders, William Brown & Sons and officially opened by local magistrate Mr Samuel Samuel in 1913. During the early history of the hall it was the location for local lectures and community and political events, and it was in May 1933 that future Prime Minister, Winston Churchill addressed a meeting of the Primrose League. He spoke on the future of India and declared ‘that the nations in their perplexity leaned upon England and found here a strong prop’. The following year, in November 1934, St Mary’s Hall was the location for another political meeting. This time for the National Conservative candidate, Mr Marcus Samuel (nephew of Mr Samuel Samuel who had opened the hall 20 years earlier) for the Putney By-Election. 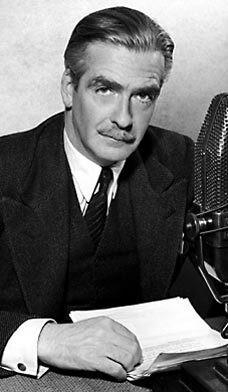 Guest speaker supporting Mr Samuel was another future Prime Minister, Anthony Eden, who at that time was Lord Privy Seal and Minister for the League of Nations. Along with political meetings, St Mary’s Hall was the location for lectures and music events, including local Christmas carol concerts. 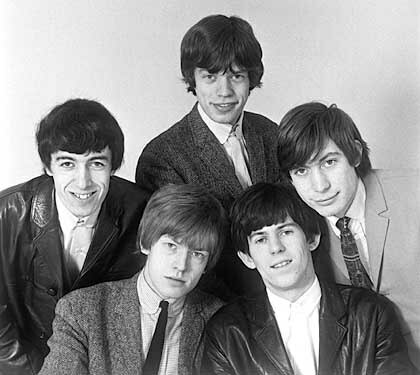 In particular, during the 1960s, it was used as a venue for upcoming British bands and on 22 December 1963 was the location for a performance of The Rolling Stones as part of their first UK tour. The Rolling Stones were supported by rising band, who were still performing by the name, The Detours, and came to be known as The Who. It has been said that it was here Pete Townsend noticed Keith Richards warm up by swinging his arm before going on stage which inspired Townsend to create his famous ‘windmill’ strum. 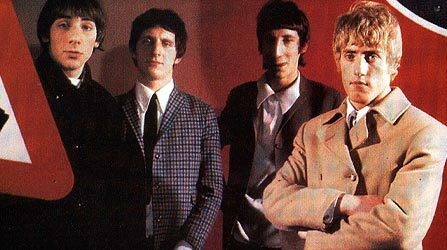 The Who actually played at St Mary’s Hall several times during the early 60s and in 1964 they were supported by The Tremeloes. A local resident remembers this concert where the Tremeloes gave out sweets to promote their new song, Candy Man, which later rose to No.6 in the UK charts. St Mary’s Hall continued to be used as a local hall and event venue, but by the 1980s it had fallen into disrepair and it closed in 1986. It was purchased for redevelopment in the 1990s at which time it was renamed Hotham Hall. It was transformed into luxury ‘loft-style’ apartments by The Raven Group, which first went on sale in 1997. Behind the seemingly simple Edwardian façade of a former community hall, an extraordinary history is uncovered at Hotham Hall. The recent commemorations celebrating the 70th anniversary of VE Day – Victory in Europe – on the 8th May have reminded me of one of my favourite house histories. 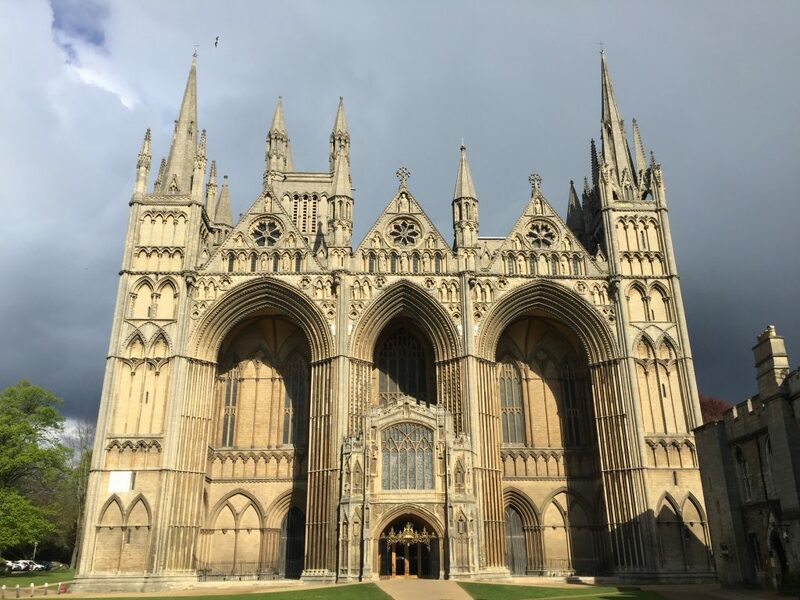 The efforts of everyone during the Second World War are worthy of celebration and honour – I don’t think many of us living in the 21st century can fully comprehend the sacrifices made by this incredible generation of men and women. 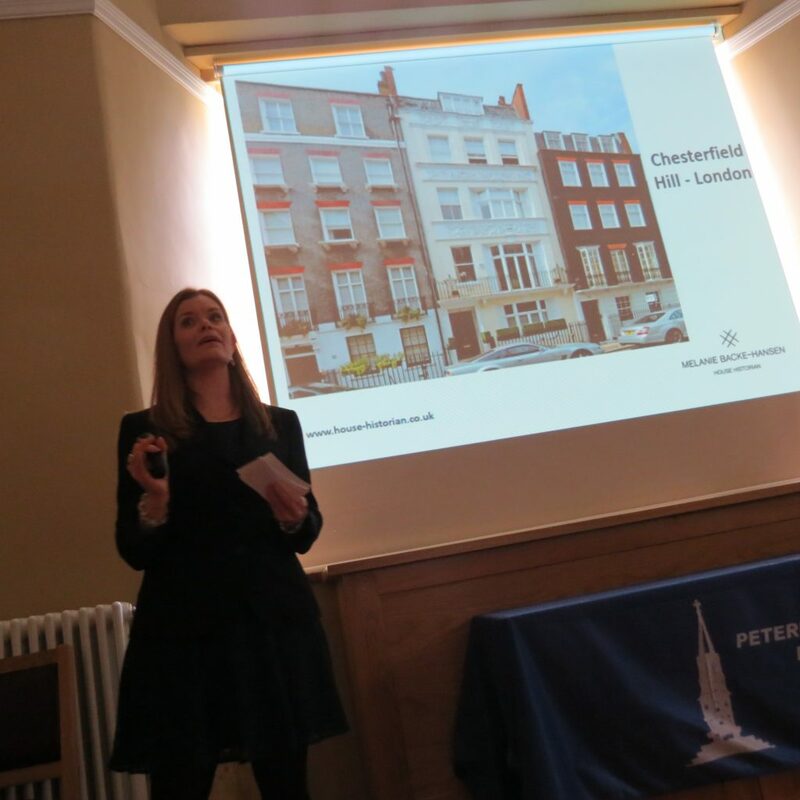 But, it was while I was with Chestertons estate agents that I was researching the history of a mansion block in the middle of Marylebone in London and I uncovered an extraordinary story of its use by the Special Operations Executive during the war. Orchard Court looks like many other mansion blocks you’ll see across London and when completed in 1930 it was very much like any other mansion block, but with the outbreak of the Second World War in 1939 it soon took on another role. 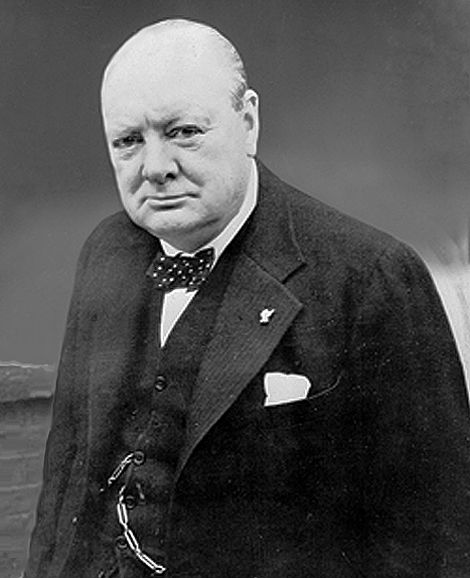 In 1940, Winston Churchill created a new secret service to undertake operations in occupied Europe. Fighting undercover and working with the local resistance groups, the Special Operations Executive (SOE) played a pivotal role in the war effort. The French section (‘F’ Section) of the SOE was commanded by Maurice Buckmaster, assisted by Vera Atkins. 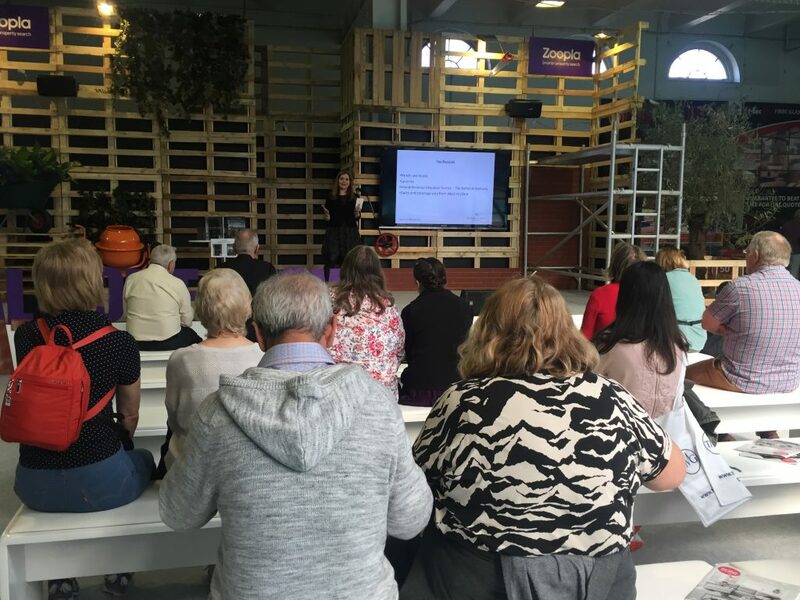 Vera Atkins has been remembered as an extraordinary woman in her efforts and service to the agents within her care. She was the main point of contact for the F Section, including meeting new recruits at Orchard Court, as well as assisting in their final preparations before being sent into Nazi occupied France. She sent 470 agents into France, including 39 women, 118 of whom were never to return. The F Section was particularly noted for their acceptance of women as they were less conspicuous than men, but this was still highly unusual. After the war, Vera Atkins also searched out the agents who had gone missing and went to every effort to uncover what had happened to them. It is also believed that Vera Atkins may have been the inspiration for Ian Fleming’s Miss Moneypenny and Maurice Buckmaster his ‘M’ in the James Bond novels! In recent years more of the stories of the agents of the SOE have come to light, although many did not speak of their experiences in their own lifetime. It is extraordinary to imagine these highly-skilled agents walking in and out of this ‘ordinary’ looking mansion block in the middle of London with very few people having any idea of their involvement in the war effort or their experiences of espionage and resistance in occupied France.